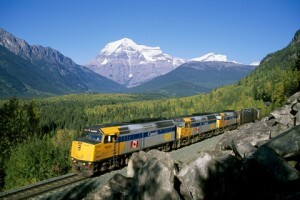 VIA Rail Canada has announced that bike trains are back for the summer, with more departures and more destinations! Bike trains travel from Toronto, Ottawa, Montréal, Quebec City, London, Windsor to Jonquière or Senneterre, passing thousands of miles of cycling paths along the way. “Whether you’re a Sunday biker or a professional cyclist, taking your bike on board with VIA Rail allows you to discover all the culture, history and authenticity of these regions from a whole new perspective,” said Steve Del Bosco, VIA’s Chief Marketing and Sales Officer. To use the bike trains, customers check their bikes in at the counter and VIA staff hand them back on the platform of the customer’s destination. Traveling has never been easier!